The 'toa' or warrior identity among Māori is part of the name of Ngaru Toa, a clothing label based in Gisborne. 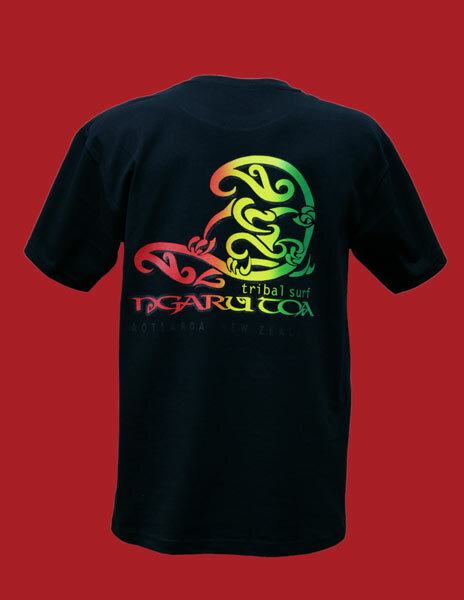 Ngaru Toa (meaning wave warrior) was founded in 1990 by keen surfer Eddie Daly. This example from the company's catalogue shows the 'Eddie' design in the Rastafarian colours of red, yellow and green.